It is through the dedication, commitment and passion of our people that continuously build the Clover Group, helping and pushing it to achieve more than what is expected. Whatever the task, they will rise to every challenge to deliver impeccable, quality outcome in their work. This extraordinary group of individuals makes the Clover Group what it is today. As a mechanical engineer, Stephen has always had an eye for detail and precision. He is used to dealing with micron tolerance which is well above the requirements of renovation and construction. 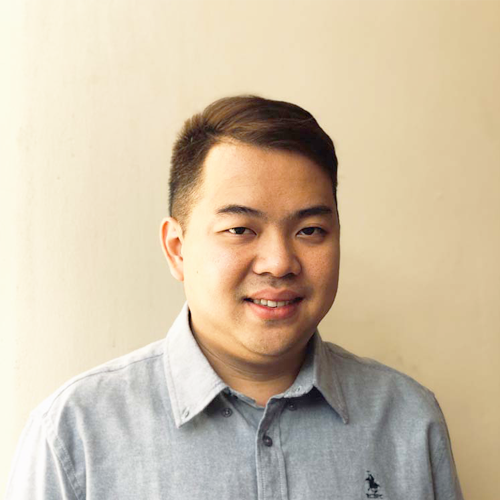 He is very passionate about design and building and has extensive hands-on experience in the industry for more than 10 years. Ever since he founded Clover, Stephen has constantly been on the lookout for innovation in design and construction and is always ready to adopt and implement them. He keeps himself informed with the latest trends in concept design, soft furnishings, household appliances as well as fittings and fixtures. Existing clients find that they can depend on Stephen’s knowledge, expertise and experience to provide the best advice and solution for their building and renovating needs. Whatever the technique, technology or material used, Stephen’s work will always reflect the heart and dreams of his clients. 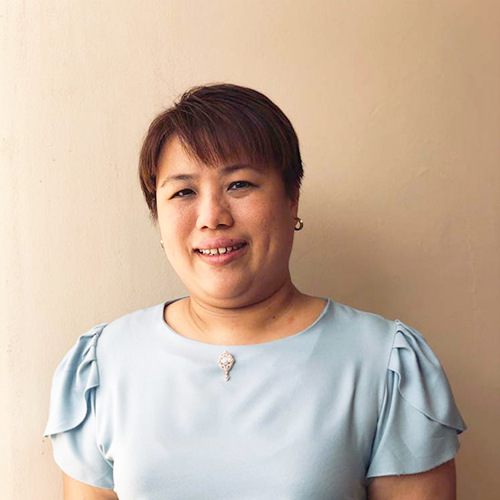 Having cut her teeth at spearheading the launch of a brand new international product in Malaysia’s audio and visual industry, Angeline, or more warmly known as Angie, has proven to be a very talented, versatile and resourceful individual. Angie’s talent and passion for creativity soon led her into the lighting industry where she quickly rose through the ranks to become the brand manager of Artemide, a world-renowned international name in design lighting. There, she honed her creative skills at light placement and arrangement, colour schemes and interior decoration. Over the years, she transformed homes and spaces with nothing more than light. At Clover, Angie proves to be more than capable at sculpting homes with planned living spaces, colours and furnishing. As a Clover client, you can rely on Angie’s attention to details and her desire to bring light and life into your living space, making it a place where you can truly call yours. At Clover, we value you as our employee. We aim to mentor you, to help you grow, develop new skills and gain new experiences. As a Clover employee, you have the opportunity to advance your career with us as we lead, challenge and guide you to be the best in what you do. Working together is more than just team effort towards a common goal. It is sharing a meal together and getting to know one another. It is supporting each other through the peaks and troughs. At Clover, you belong to the Clover family. Just completed your studies? Time to get your hands dirty in the real world. Meet real clients and work on real projects. Deal with real budgets and numbers. Not something you would get in a classroom. If you’re interested in interior design, building construction and project management, come spend some time with us to learn the ins and outs. Fasten your seat belt and enjoy the ride! If you can sell ice to Eskimos, we want you. Ok, maybe a little less exaggeration but if you have a great product to offer, you don’t want anyone to miss out. You enjoy telling people about it. If customer satisfaction is your goal, you would go the extra mile to give them the best from beginning to the end. Relationship matters to you (with a little ice-breaker – pun intended!) and people can rely on you to give them what they need. If this is you, we would love you to be part of our team. We are looking for someone who thrives on supporting others to get things done. You’re a great team player and everyone can rely on you to get things organised. When something is missing, you know where exactly it is or what needs to be done, even when blind-folded. If you’re up for the challenge, we would love to hear from you. Every team needs a leader and it could be you. You do not compromise work quality and safety and you ensure that your team members do the work and do it well. You can be bossy but after a day’s hard work, your team gets a pat on the back for a job well done and perhaps even a teh tarik at the nearby mamak. Think you’re up for the task? If yes, we’d love to hear from you. You don’t just enjoy watching home makeovers on TV, you love going to IKEA and think of the next makeover you could do at home. Colours and furniture make you tick. Plus you’re a creative whiz in Autocad, 3D Max or Sketch-up, Photoshop and Adobe Illustrator. Strike if you would consider doing a makeover for our next client. We would love to hear from you. You love numbers and ensure that the accounts balance out. You’re not a loan shark but if an invoice is not paid, you would make a courtesy call to the client to remind them that an invoice is due. We can rely on you to ensure that our accounts are in tip-top shape. It may not be an easy task to ensure that the numbers add up but if you’re up for the challenge, here’s our number 03-7931 6700 and call us maybe! If multi-tasking drives you and keeps you high, you’re our man! Or woman! You’re your client’s best friend and you care for their project like your baby. Every detail needs to be ticked off and if something is amiss, you will smell it and with a snap of the finger, get it sorted. Like the song, “There ain’t no mountain high enough, ain’t no valley low enough and ain’t no river wide enough” to keep you from getting things done. If you accept challenges like a piece of cake, give us a call. We’d love to have a chat with you.